On today episode of T.I. 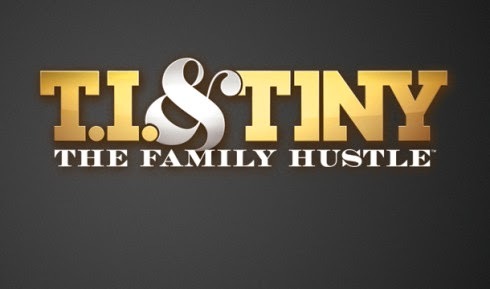 and Tiny: The Family Hustle Season 5, “Blackmail” While visiting the house, T.I.’s comedian sidekick, K-Dubb exploits an opportunity to trade his silence about a broken vase for miscellaneous favors. All goes as planned until the young Harris’ question whether the repercussions for the accident would be more bearable than K-Dubb’s outrageous requests. Meanwhile, Tiny and her longtime friend, Toya are challenged to a lip-sync battle by their adolescent daughters. What seems like an easy win for the younglings becomes an unknown, as Tiny and Toya pull out all of the stops for their performance. LOL! K-Dubb Blackmails The Boys ……. Look below as K-Dubb catches the boys playing catch in the house. He agrees to not tell Tip, for a price.